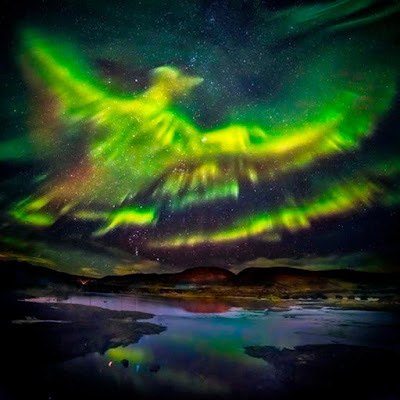 Terra Forming Terra: Northern Lights Take The Form Of A Phoenix Over Iceland! This is a wonderful shot to the northern lights. Enjoy this and the extra one below. SIGNS IN THE HEAVENS: Symbolic Weather Phenomenon - Northern Lights Take The Form Of A Phoenix Over Iceland! February 26, 2016 - ICELAND - What do you reckon? Is this mesmerising image up there with the best recent pictures taken of the Northern Lights? 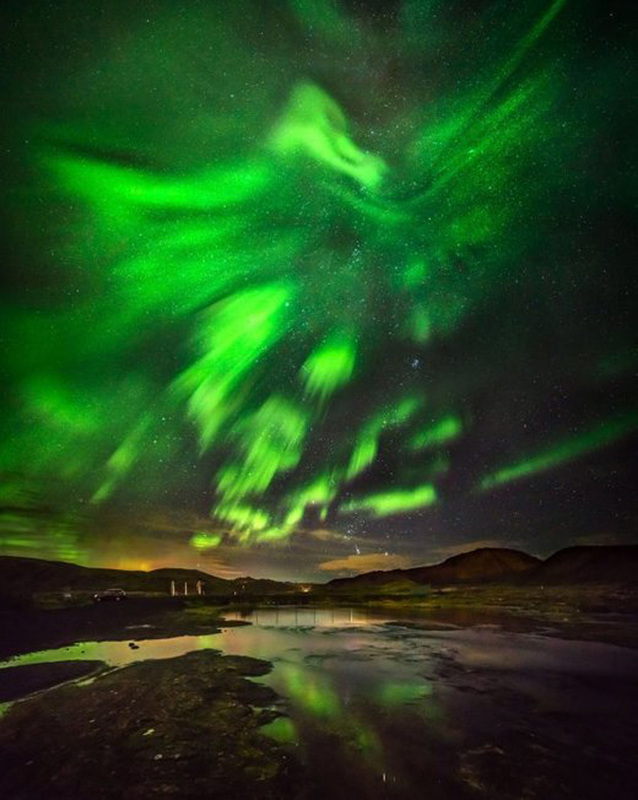 Shot in Iceland, it shows what looks like a huge phoenix with wings outstretched rising in to the night's sky. It was captured by photographer Hallgrimur P. Helgason in Kaldársel, who said he had been shooting for an hour when the mythical creature appeared. Hallgrimur uses a camera and tripod to photograph the lights and advises snapping in the dark away from city light pollution and never using a flash.